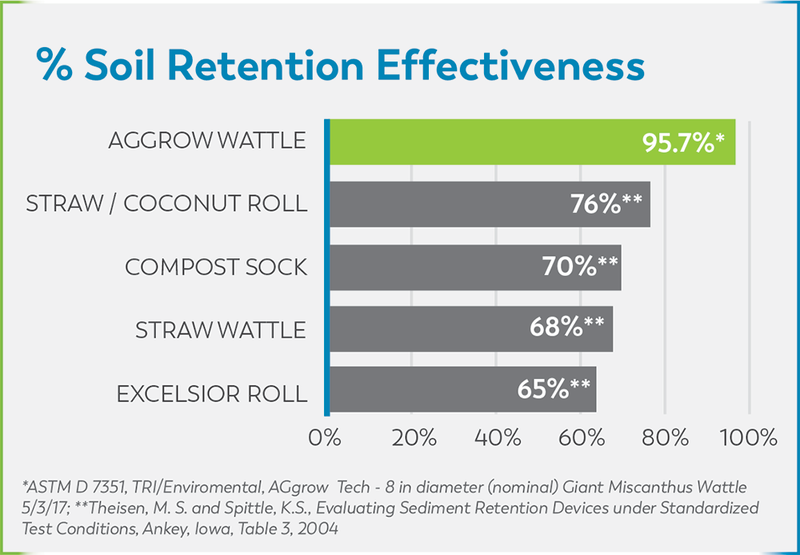 The AGgrow Filter Sock is a cost-effective Sediment Retention Device (SRD). 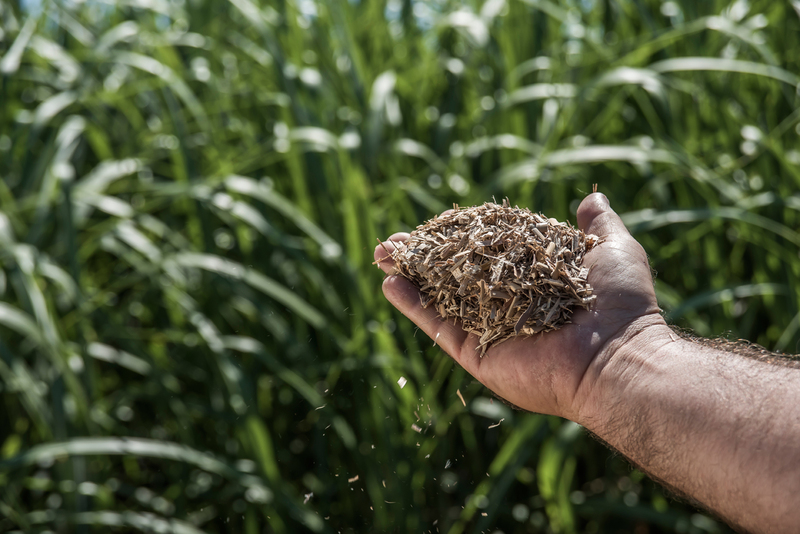 This device stands alone as the only SRD on the market that offers certified sustainably grown Freedom® Giant Miscanthus biomass filter media encased in a polyester geotextile skin. 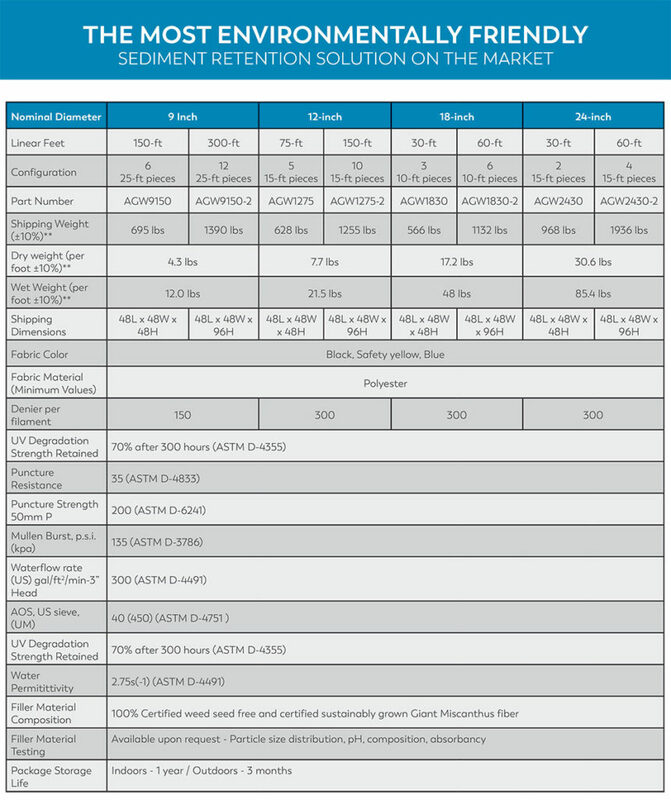 The proprietary particle size distribution of the filter media produces a device that offers similar filtration efficiency to a compost filter sock yet weighs less at installation. 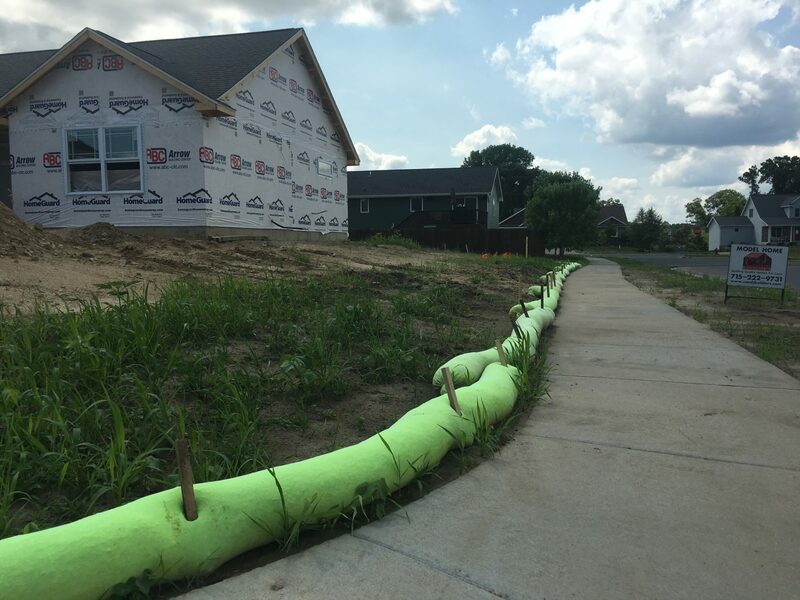 AGgrow Filter Sock is a great alternative to conventional silt fence for construction sites with limited space and difficult ground conditions. Its round design allows easy access in and out of the job site. Delivery trucks and/or worker traffic won’t damage the wattle or prevent its performance like downed silt fence. Also, no trenching is required. 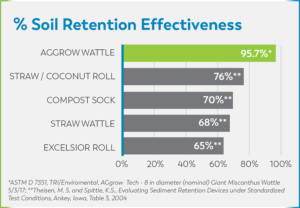 When ground conditions make trenching difficult – use AGgrow Filter Sock. It’s design allows it to be set on top of the ground. 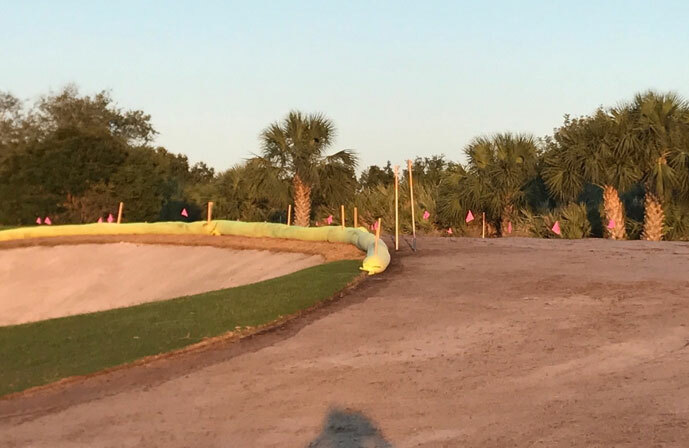 AGgrow Filter Sock has been used on industry leading golf course construction projects. In sensitive areas like bunker design its design prevents weak edges around the perimeter of the bunker that would be present from trenching. 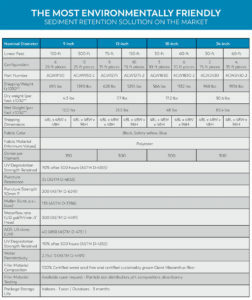 Its design makes it a superior choice for sediment control in sensitive ground condition applications. 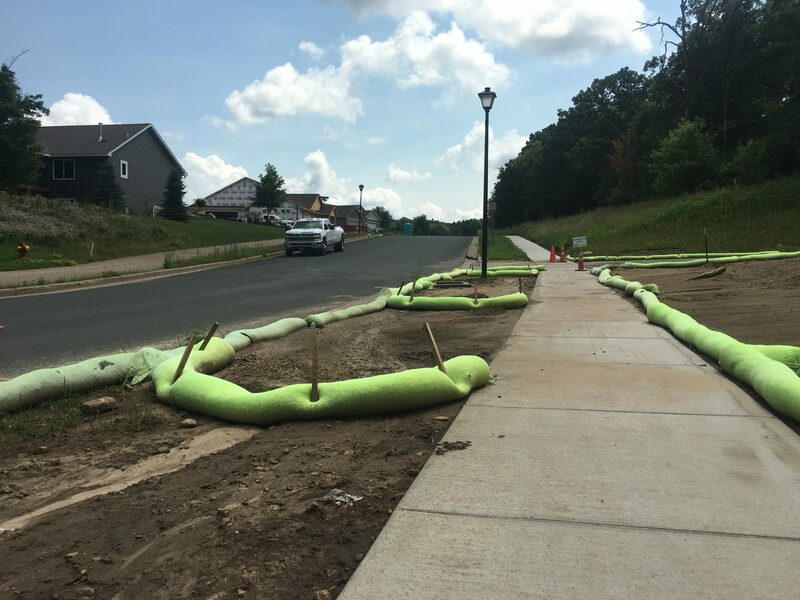 “I have used several different products in the past but AGgrow Filter Sock is by far the easiest and most effective product for erosion control” says Jason Postell of Pristine Golf LLC. AGgrow Filter Sock can be used for various construction applications. From difficult terrain to storm basin protection and when challenging ground conditions are present. AGgrow Filter Sock can provide a solution. Its strong outer mesh, lightweight design makes it durable and easy to install.